Dedicated to delivering the right solution with exemplary customer service. Jim has over 38 years of experience in the insurance industry, specializing in the area of individual and group life, health, dental, and disability products. Jim’s educational background includes a BS degree from St. John’s University, an MST degree from the University of North Dakota and holds the Chartered Life Underwriter (CLU) and Chartered Financial Consultant (ChFC) designations. He has been a moderator / instructor for a number of Life Underwriter Training Council (LUTC) courses and is a member in the National Association of Insurance and Financial Advisors (NAIFA), the Society of Financial Service Professionals (SFSP), the Association of Health Insurance Advisors (AHIA), and the National Association of Health Underwriters (NAHU). Jim enjoys the challenge of finding the ‘right’ solution to a client’s problem or specific need. Jim has resided in St. Cloud, MN since 1972. He enjoys traveling with his wife Ginny to far away and near by locations. Licensed in the State of Minnesota for the sales and servicing of health and life insurance products since 1986, my favorite part of this business is getting to know the people. I truly care about each and every one of my clients! I love coming to work every day, because with each day comes new opportunities and challenges! Everyone has different needs, and finding a unique solution or resolution for people is foremost in my mind. The thing that brings me the most satisfaction is when a current customer of mine refers me to a friend or family member because they are pleased with the services provided. For over 30 years, I have worked in the direct sales and servicing of small and large groups, individual products and various ancillary lines of coverage. Timely identification and resolution of service issues is key. Having worked in the corporate world for much of my career with a major insurance carrier brings me a unique perspective. St. Cloud has been my home for the majority of my life. I was born here, attended St. Cloud State University and am a graduate of Alexandria Technical College with a degree in Medical Secretarial. In addition to my decades of ‘hands on’ training in the insurance field, I attend hours and hours of educational training conferences to stay current on the rules and regulations of this complex industry. Outside of work, I enjoy spending time with my husband and two adult sons, our wonderful granddaughter and grandson, my extended family and friends. I am a strong advocate for the Minnesota Chapter of the ALS Association and the Breast Cancer Society. Joining the Blue Chip team is my eldest son David. It would be my honor to act as your ‘trusted advisor’ and help you make an informed decision. Please contact me or a member of our staff – we are here to help you through the somewhat daunting world of insurance. David was licensed by the State of Minnesota in 2015 for the sales and service of health, life and accident insurance products. David joins our team at an exciting time in the insurance industry. He is ready to assist you with all of your insurance needs – with the intention of finding the best possible solutions for all your insurance needs. Born and raised in the St Cloud area, David is a 2008 graduate of St Cloud Technical High School. He attended college at St Cloud State University and St Cloud Technical College where he studied computer programming. He has worked at the Coyote Moon Grille since 2006. David is recently married and is the proud father of two, Oliver and Alexandra. David volunteers his time supporting the ALS Association, MN Chapter and is a member of the Optimist Club. David is excited with his career change – and is looking forward to assisting you with all your insurance needs! 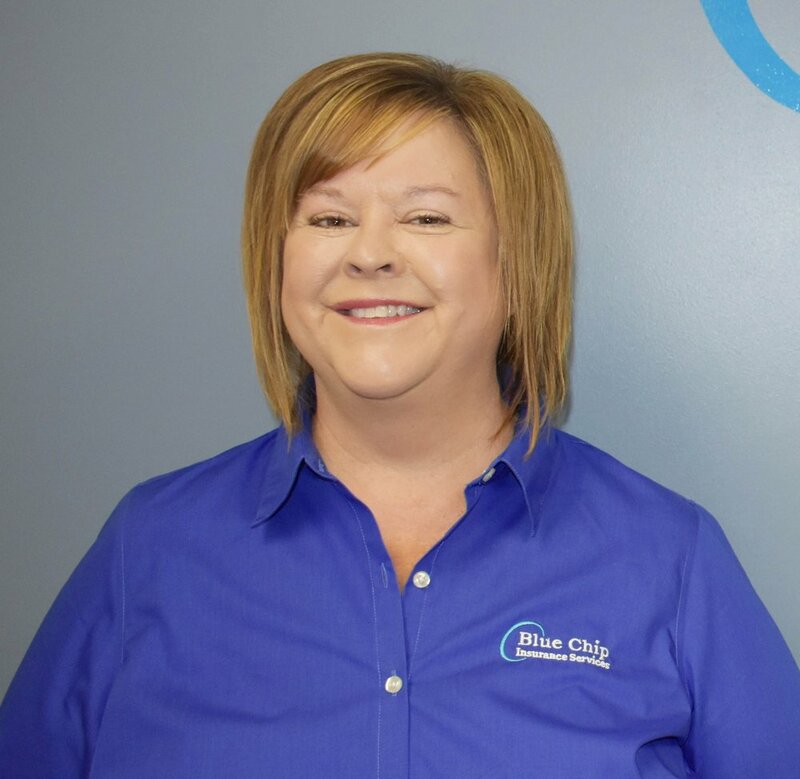 Katie has been with Blue Chip Insurance Services since 2008 and has had the privilege to meet many people and learn many new things. With the ever changing industry every day is a new day and brings many challenges. She assists with COBRA and MN Continuation, claim submissions, application submissions, quotes, the daily operations of the office and more. Assisting and working with our client’s and Broker’s is on the top of her list and we here at Blue Chip always make sure they walk out the door knowing they are in the right hands. Outside of work she enjoys camping, the outdoors, and spending time with her husband and their three spirited little boys, Alex, Max and Huxley. She also enjoy spending time and laughing hard with her two sisters “best friends”. Returning to Blue Chip after raising 5 children. Worked in the insurance industry for 10 years. Responsibilities at Blue Chip: responsible for the accounting as well as a liaison with our brokers and various insurance carriers in regards to all accounting issues. Also help with various client concerns. We partner with only the best. Our knowledgeable team are ready to help. Find a trusted advisors near you! Mike Johnson has over 20 years of experience in the insurance industry, specializing in the area of Senior oriented products. He built a successful independent agency focusing on Long Term Care plan designs and Medicare Supplement coverage. Mike became associated with Blue Chip Insurance Services in 1999 as a broker, and is Blue Chip’s in-house “Senior Specialist.” Mike is a member of NAHU and MAHU. Mike’s education includes a Bachelor’s of Science Degree in Management/Finance from St. Cloud State University, with special emphasis in insurance. He has been a moderator/instructor for a number of LUTC courses. Mike enjoys supporting the youth of his community through his local Optimist International chapter. Business Partner with Danner, Brekke & Everts Financial & Insurance Solutions, with offices in Litchfield & New London. My 15 years of experience in the insurance business will allow me to help you with decisions you need to make. I specialize in Individual/Family & Group Health, Medicare, Life, Disability and Long Term Care Insurance. I provide a complete sales process with each client, making sure you get the policy that is best for you and your family. I offer continued customer service after the sale and assist with any questions, claims or problems you may have. I enjoy helping individuals, families and groups securing their financial future with the right insurance protection. Our business grows the most through referrals, Please share our website and contact information with those you feel could use our services. Call me and let's get you the right policy and started down the right road today. Roger Knauss is the owner / agent of Roger Knauss Insurance And Investments. The business has been in operation since 1980 at several locations in St. Cloud, and at it's present location in Waite Park since 1990. Aside from a wide assortment of life and health products, Roger Knauss Insurance also handles property and casualty insurance, including auto, homeowners, renters, motorcycle, RV, business owners, worker's compensation, bonds and more. For more information visit www.knaussinsurance.com.